AmericaJR’s Jason Rzucidlo reports from 2018 AutoMobility LA, the official media preview of the Los Angeles Auto Show. 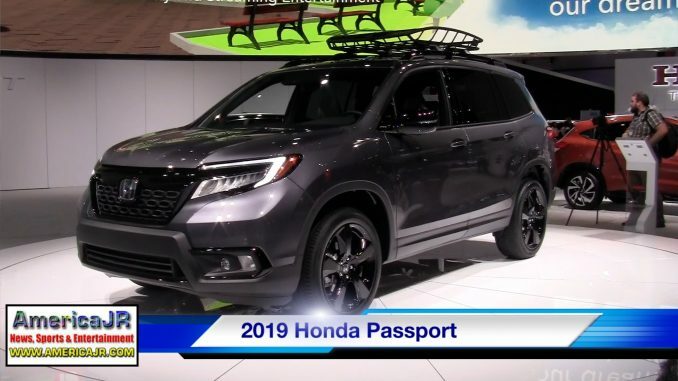 In this video, watch for an exclusive interview with American Honda’s Justin Chiodo about the 2019 Honda Passport. The all-new model will slot between the compact CR-V and three-row Pilot in Honda’s award-winning SUV lineup. The model’s reinforced unibody frame, powerful direct-injected i-VTEC® V6 engine, fully independent suspension and nimble steering make it an ideal choice for driving long distances or around town. In addition, the robust off-road capability offered by the available Honda i-VTM4™ torque-vectoring all-wheel drive and its four-mode Intelligent Traction Management system means Passport can tackle the kind of tough terrain normally reserved for less refined body-on-frame or off-road focused SUVs.